Kwang J. Chun, MD, is an Attending Physician in the Department of Radiology and Division of Nuclear Medicine at Montefiore and an Associate Professor of Radiology at Albert Einstein College of Medicine. She has extensive expertise in the application of nuclear medicine methodologies. Her research and clinical practice focus on improving therapeutic and diagnostic outcomes. 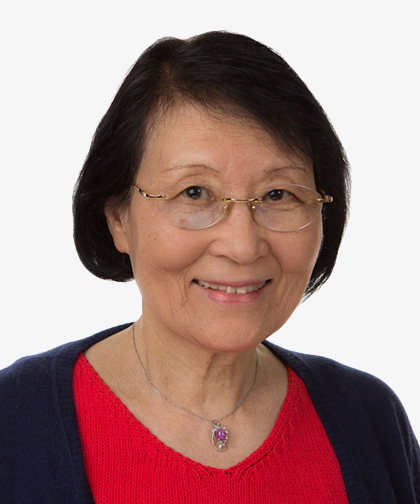 Chun has authored and coauthored numerous publications and review articles in nuclear medicine journals. Her recent research focuses on bone health, for osteoporosis and osteoarthritis early intervention, and gastroenterology. Dr. Chun attended Seoul National University, graduating as Doctor of Medicine from the College of Medicine in 1968. She subsequently completed her residency and served as Chief Resident at Seoul National University Hospital's Internal Medicine Department. Between 1972 and 1977, she completed her internship, residency and fellowship at Brooklyn Medical Center, Mount Sinai Hospital, St. Luke’s Hospital Center's Nuclear Medicine Department, and Albert Einstein College of Medicine's Nuclear Medicine Department. She has served as an Attending Physician with teaching responsibilities at Montefiore and the Hospital for Albert Einstein College of Medicine since 1977. Dr. Chun is board certified by the American Board of Nuclear Medicine.